Annette Funicello, the dark-haired darling of TV’s “The Mickey Mouse Club” in the 1950s who further cemented her status as a pop-culture icon in the ’60s by teaming with Frankie Avalon in a popular series of “beach” movies, died Monday. She was 70. Funicello, who was diagnosed with multiple sclerosis in 1987 and became a spokeswoman for treatment of the chronic, often-debilitating disease of the central nervous system, died at Mercy Southwest Hospital in Bakersfield, Walt Disney Co. spokesman Howard Green said. Funicello and her husband, Glen Holt, had moved from the Los Angeles area after a 2011 fire gutted their home in Encino. 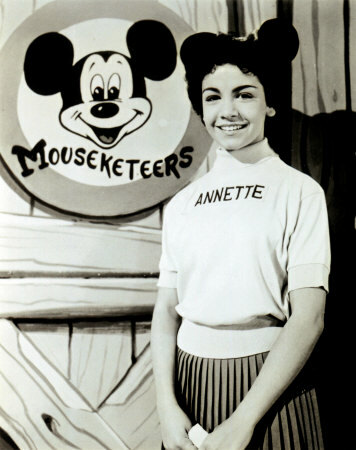 Annette thank you for ALL the years of entertainment! This entry was posted in Entertainment News and tagged Annette Funicello, Frankie Avalon, Mickey Mouse Club, Walt Disney. Bookmark the permalink.